We have been busy during January preparing for the Surface Design Show held at the Business Design Centre in Islington on 4 – 6 February 2014. 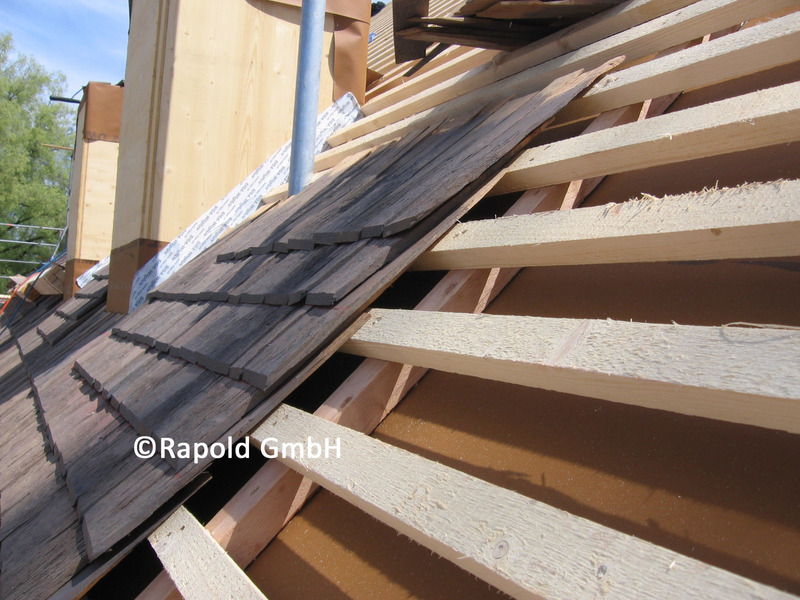 This is a new venture for us and launches our relationship with Rapold GmbH for the UK distributorship of Hand Cleft roof and Wall Cladding Shingles. 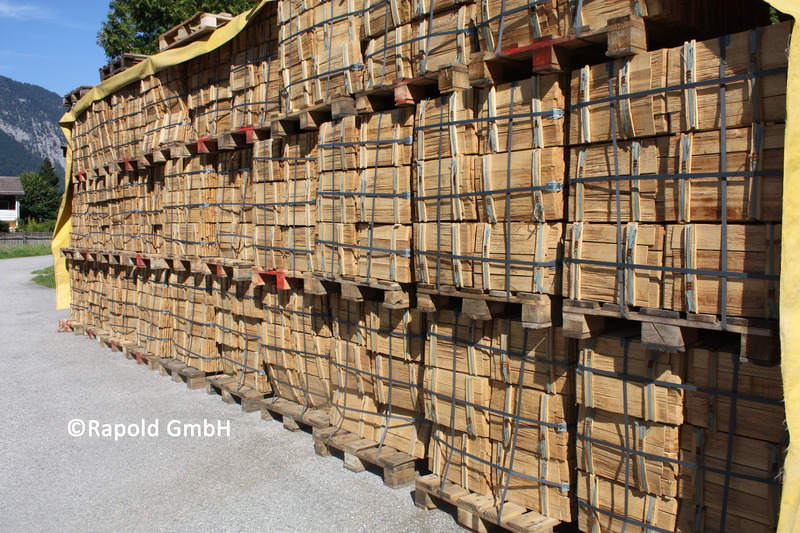 Rapold GmbH are a family business with a heritage in timber that goes back over 80 years. Harald Rapold approached us 2 years ago as he felt that the synergy between our two companies would make a strong base for the UK. 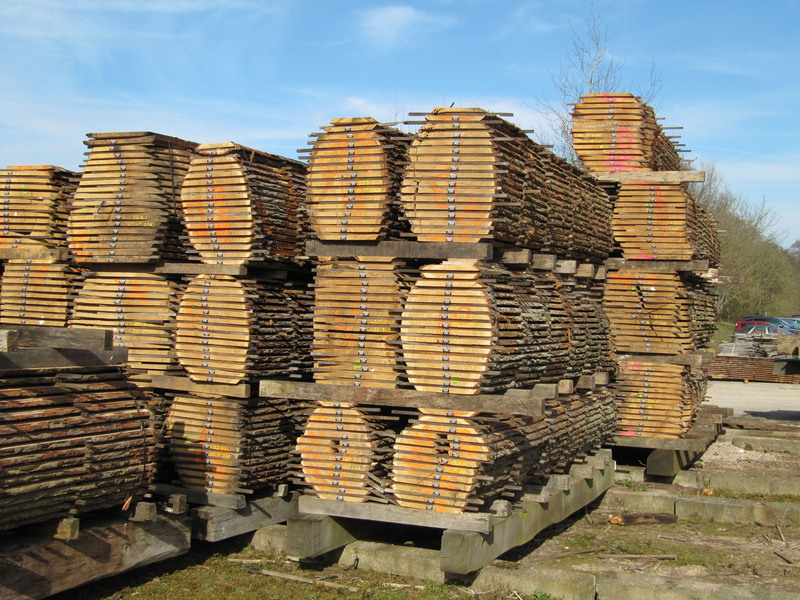 Indeed, between us we have nearly 230 years experience in the timber industry. 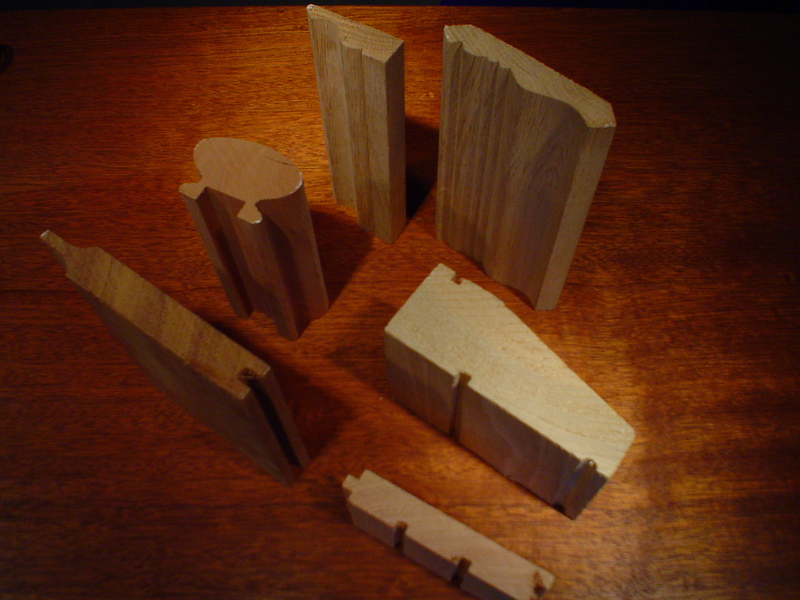 Rapold pride themselves on a hand made product, using traditional skills. 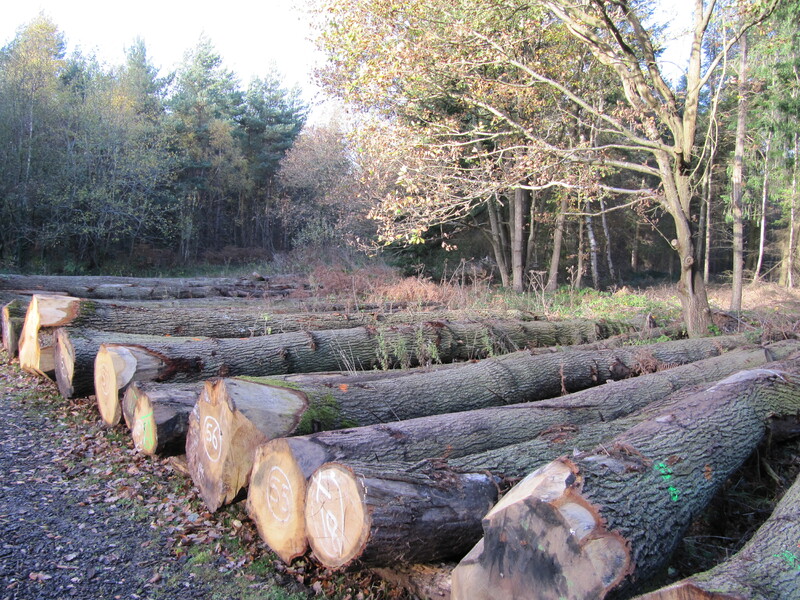 They ensure that the logs are carefully selected for their straight grain and size. Their team them hand cleave them into the required sizes. 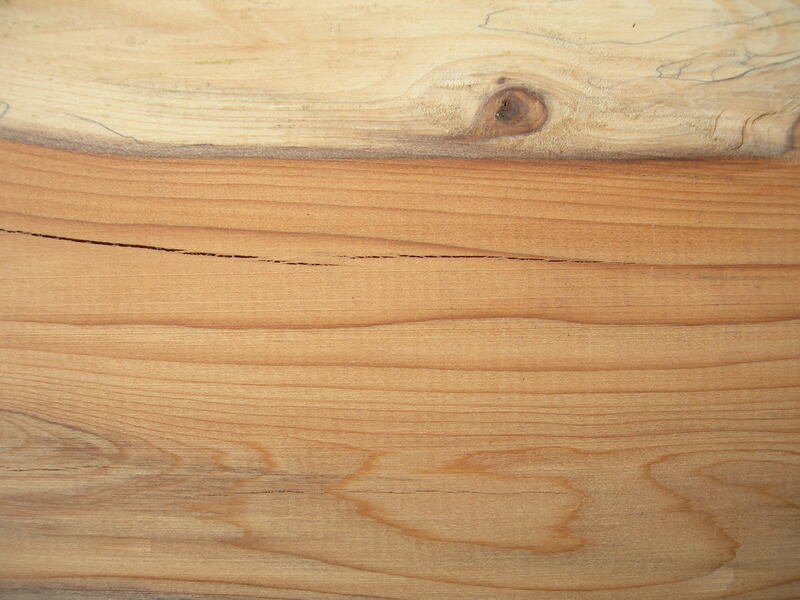 Shingles are available in Oak, Larch , Robinia and White Fir. 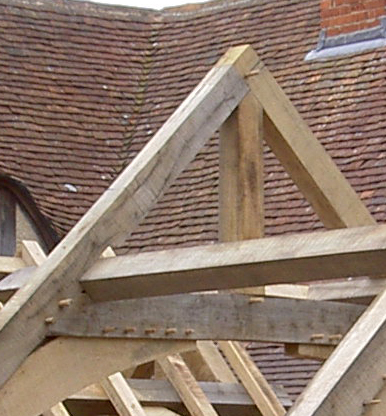 This is a truly renewable method of roofing using a natural materials that has been used for thousands of years. 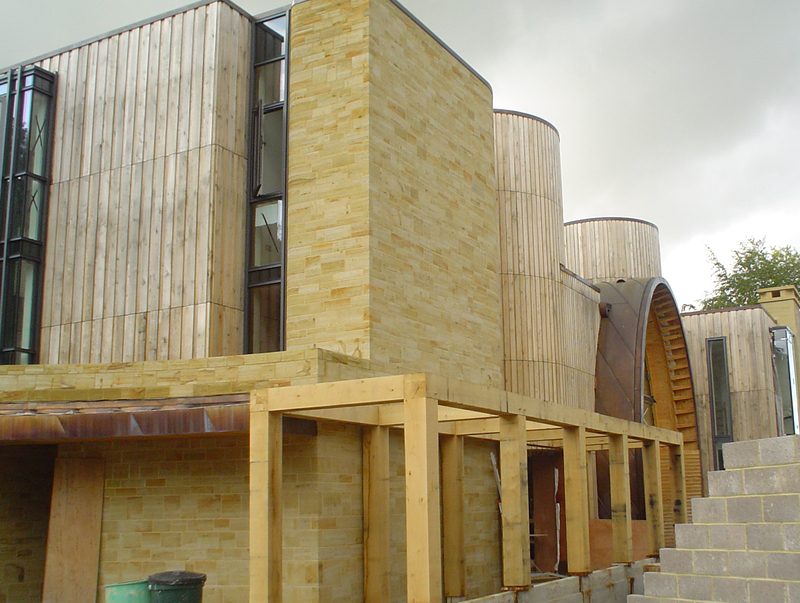 Traditionally used on churches, they have had a renaissance and are being used as part of modern construction, not just on roofs but wall cladding externally and internally. In the current times it is very hard to find a building team that is so dedicated to produce a unique building to amazing high standards such as Downley House. Situated on the South Downs, the owner bought a derelict house and has incorporated the frontage of the original house into a contemporary building for his family. We had only a small part to play in the build which I am sure Kevin McCloud would have been proud of. 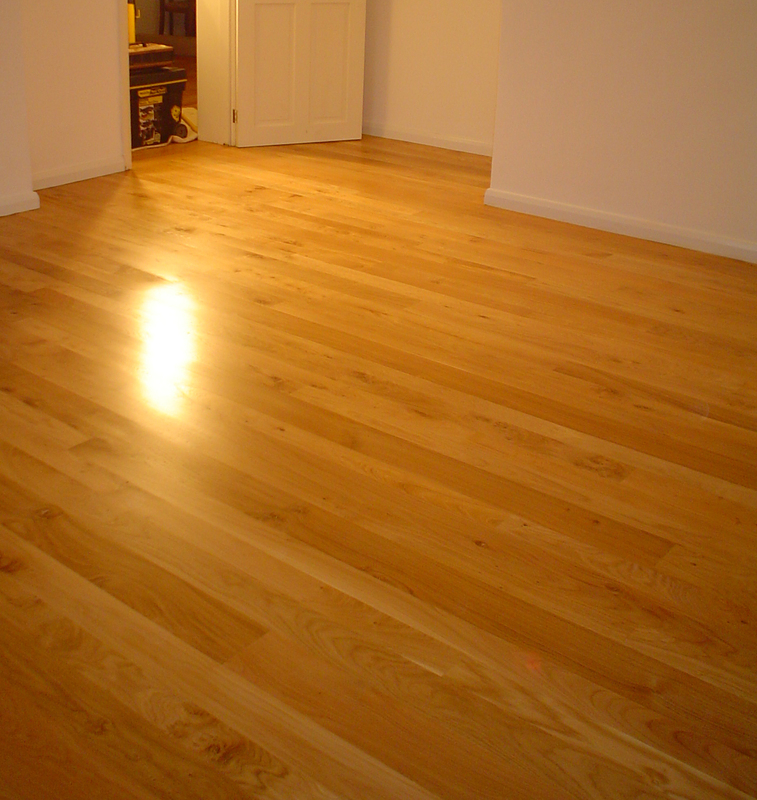 The uniqueness of the project has been realized from a dream, into a home. 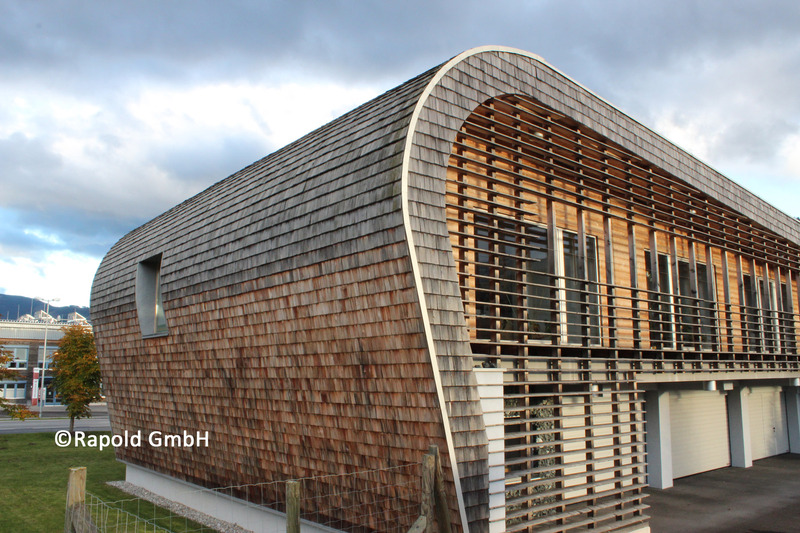 The owner had a quite specific vision and worked with his Architect to make it happen. 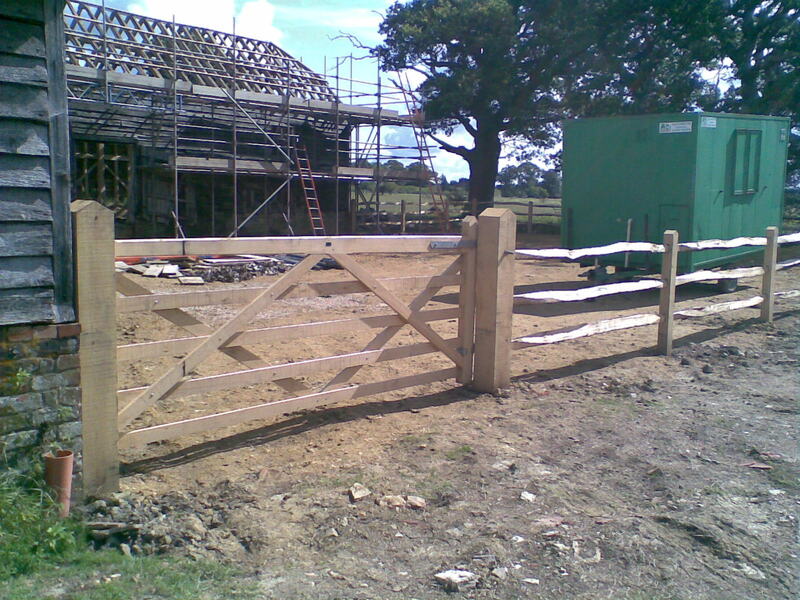 Skilled tradesmen ensured that there was a practical and quality outcome. The site for the home has been excavated from the side of the downs. 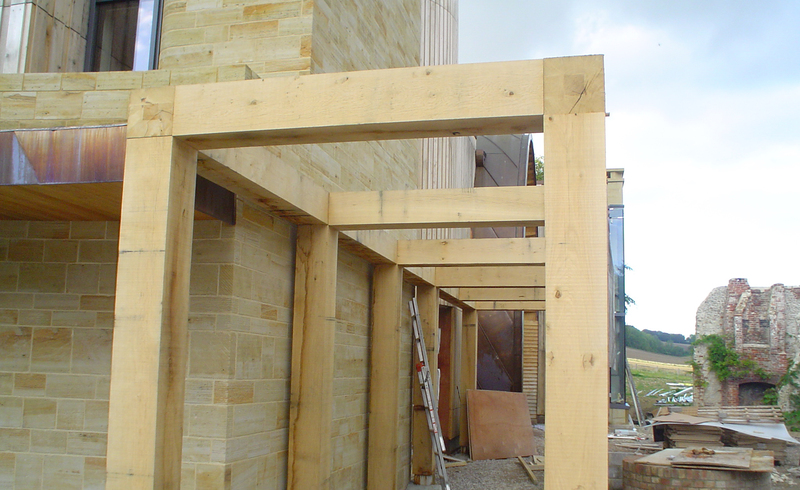 The building has incorporated many different building materials from concrete, steel and copper to natural stone, timber and glass, all blended expertly to produce a spectacular outcome. 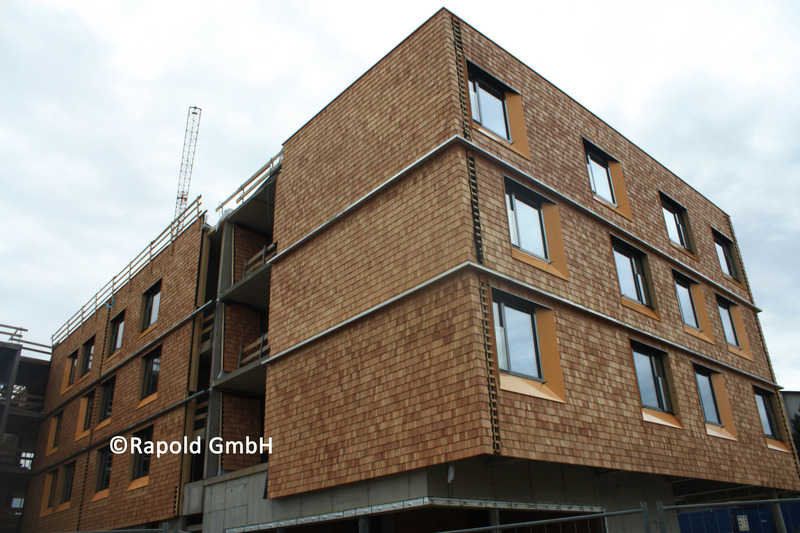 Part of the external walls have been vertically clad with Oak Cladding, with selected 1–2 grade European Oak, which is FSC certificated. 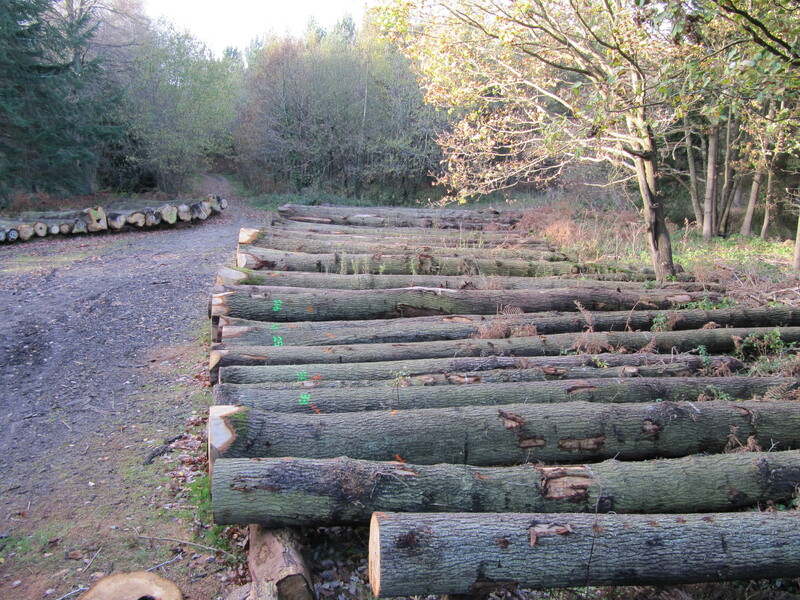 The timber has been fixed and allowed to start weathering naturally, using stainless fixing with the drill holes being greater than the shank to allow for movement throughout the seasons. 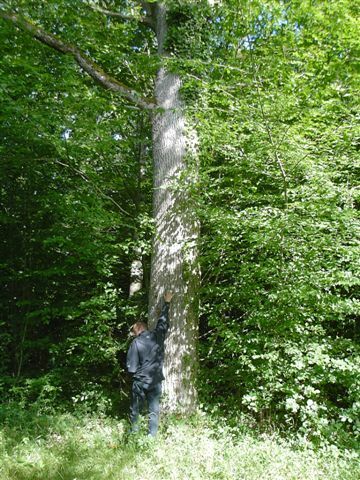 The Oak was conditioned before sending it to site to ensure the moisture content was approx 16%+-2% to give this the best chance for minimum movement. 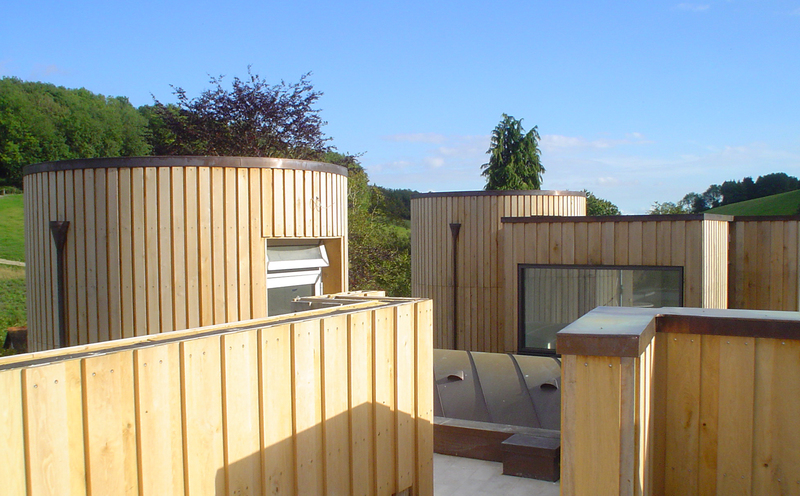 Some sound small features are permitted to keep costs to below budget and ensure the timber cladding looks real and natural. The lengths are all under 2.50m to ensure perfect vertical alignment with a clever head joint to act as a feature and a practical weather. 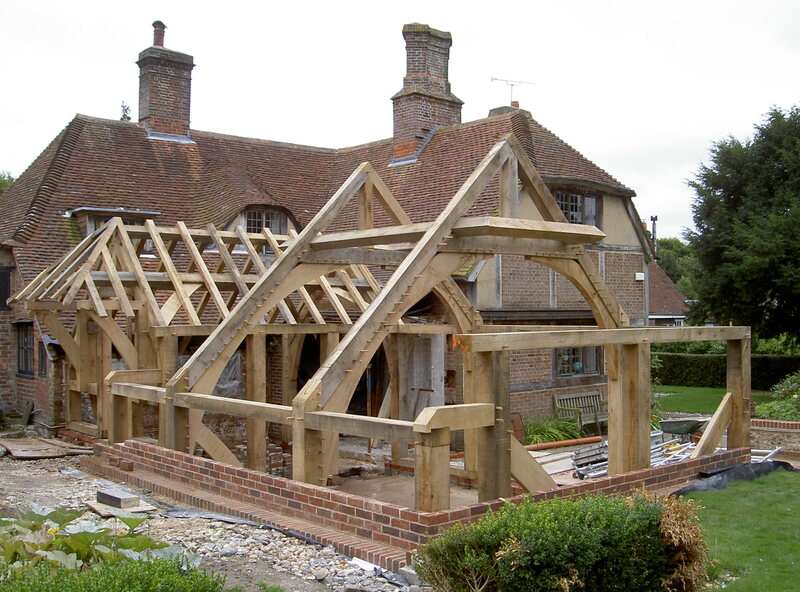 The addition of specially selected Oak beams to form a substantial pergola makes this more of a mansion than a house. 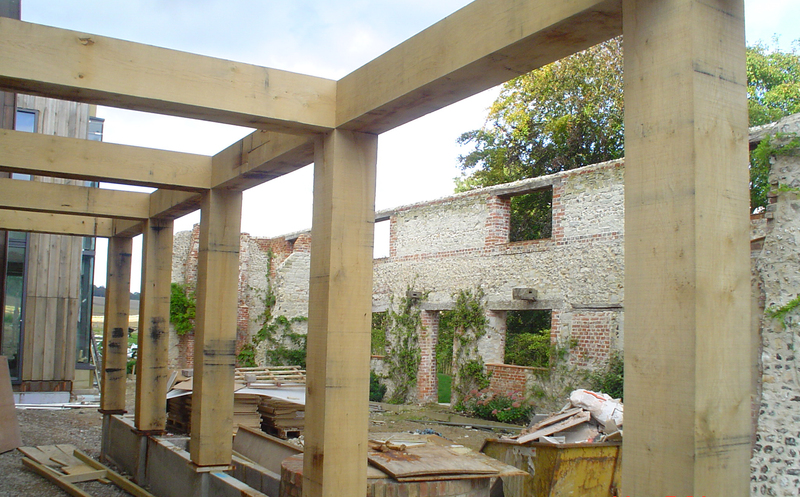 It is a wonderful example of clever design, expert trades and superb materials being brought together to result in a spectacular property that will stand proudly on the Downs for decades to come. You can read more on the owners own Blog Site click here to link to it.